Champions Robert Cordoba and Dawn Sgarlata!! « SPECIAL WEST COAST SWING NIGHT! – December 2, 2016 – Master Workshop with Visiting Champions Parker Dearborn & Melissa Rutz!! 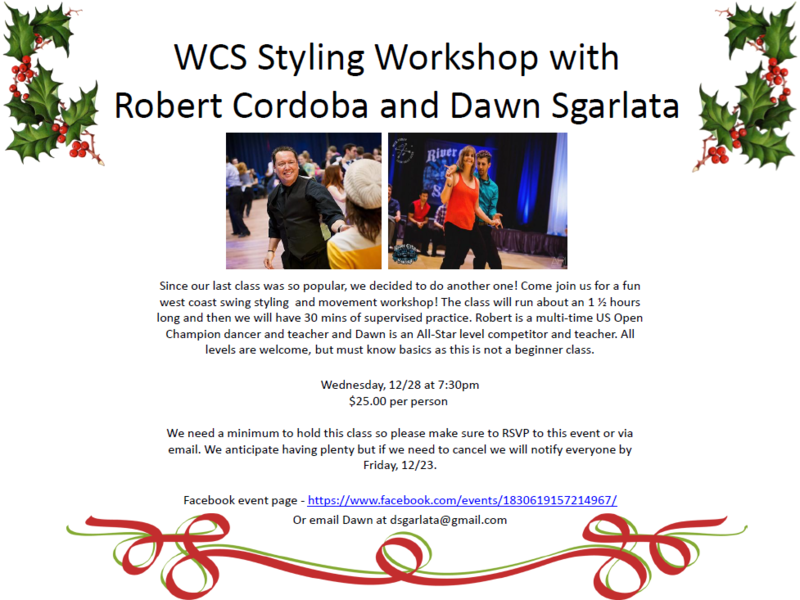 – And WCS Mix Dance with DJ Bruce Perrotta! !